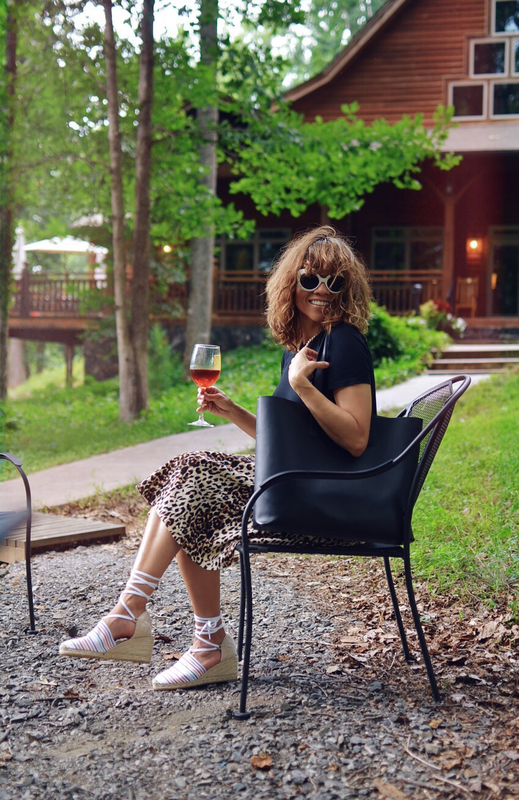 My Wine Country Style blog posts aren't only about wine, they're also about my casual outfit choices for my days off. 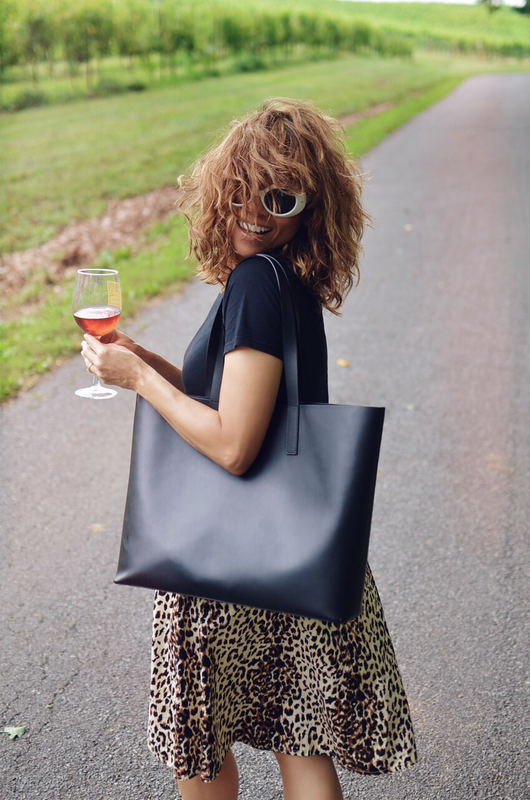 This outfit and others from this category could have been worn anywhere else in town, but this year especially, we're gravitating toward wine country for some of my off-duty days. We love vineyards because, besides being beautiful, they're peaceful (on weekdays) and are surrounded by priceless Mother Nature. 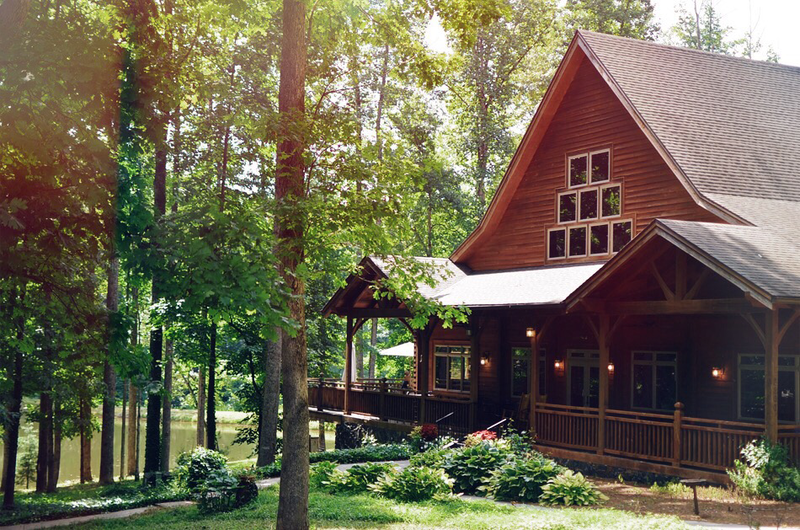 The vineyard/winery in this post is named Sanders Ridge and is located in Yadkin Valley here in North Carolina. We loved this place from the moment we parked our vehicle to our drive leaving the property (see videos of wine country here). We had the usual wine tasting and I, of course, found my favorite wine from their selection. I chose their Noble Blush because its taste reminded of Marañon fruit, which I love (the cashew fruit) and is very popular in Honduras and other Latin countries. Now, let's move to my outfit. 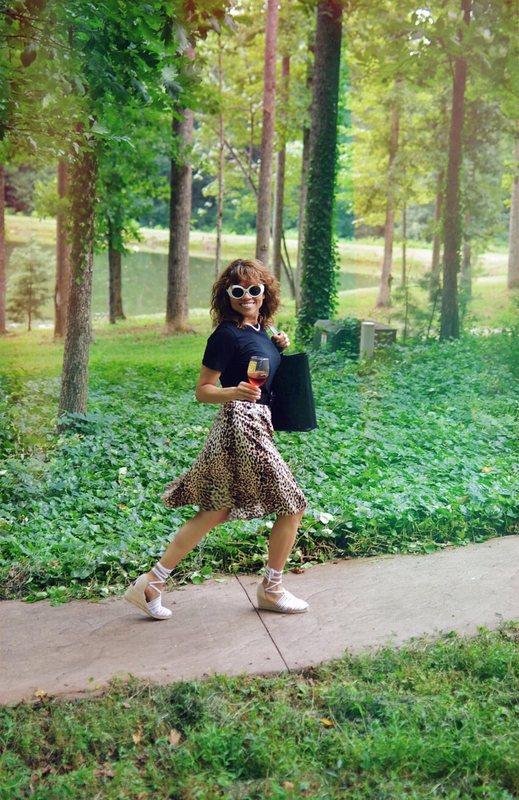 Today I'm showing you a look styled around my leopard skirt. This skirt was a very affordable thrift/vintage purchase with the purpose of road testing this print on a skirt. I often buy affordable versions of things that I would love to test before I invest in a better quality version. 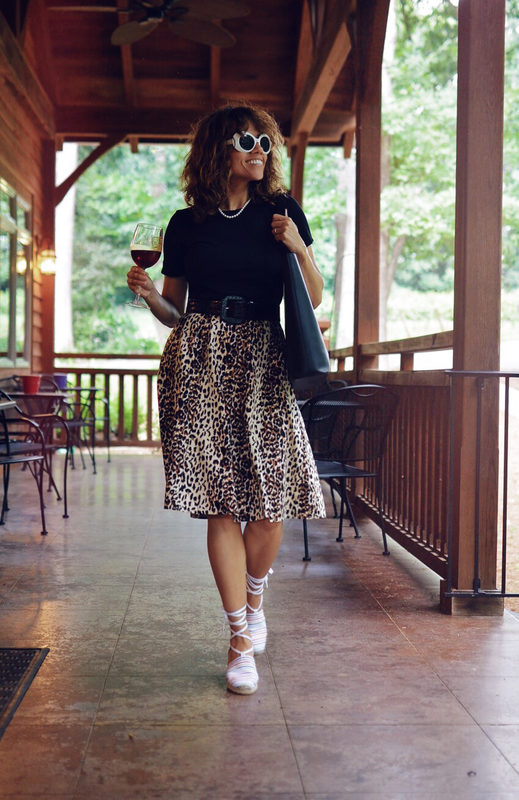 So far, I've worn this skirt only for casual settings (see Instagram looks here) but I do like the idea of a leopard skirt that would look great for more dressy looks as well. At this point, this skirt has proven that I could totally benefit from a leopard skirt. I know it will bring fun to my neutral solid pieces and besides, leopard is a kind of neutral print to me. I'll be looking for a longer length skirt - a midi style to be exact and with a thicker fabric such as all-year-round wool or similar. By the way, on that day I was also testing my black t-shirt from a brand that will mention below. I was told that they hold up very well and they keep their shape. So far, I've tried on a couple ones (see items reviews here) and they seem to be ok after a few washes. T-shirt: Everlane/Skirt: Vintage/Bag: Everlane/Belt: Vintage/Espadrilles: Castañer/Sunglasses: Vintage/Necklace: The Pearl Source.